/ News / Were Senran Kagura characters planned for BlazBlue: Cross Tag Battle? Were Senran Kagura characters planned for BlazBlue: Cross Tag Battle? Since Arc System Works' crossover fighter BlazBlue: Cross Tag Battle launched its demo and beta, clever modders have been digging around in its data to hunt for secrets and surprises, already uncovering the game's potential DLC list. This is really something else though. Sound files of the game's announcer shouting out character names include callouts for "Asuka" and "Yumi." 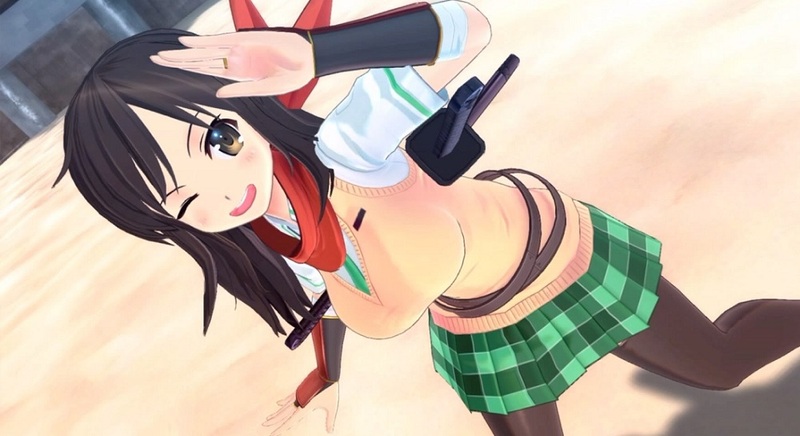 While both these names are common in Japanese fiction and media, it's of note that they are also the names of two popular girls from the notorious Senran Kagura series. Some fans have obviously gotten quite excited at this news, could a fifth franchise be joining Persona, RWBY, BlazBlue and Under Night In-Birth in this battle royale? However, letting the air out of the hype is an official spokesperson for the game who, on the official Steam page, passed off these soundbites as "leftover data" from brainstorming sessions. A video featuring the soundbites has since been pulled from YouTube. Still, it's out there on the information superhighway now, so folk are gonna run with it. I don't care too much for the Senran Kagura titles myself, but I'm all for more brands joining this punch-up party. It's a shame "Asuka" likely isn't the badass WWE superstar. The Empress of Tomorrow should be in every video game. BlazBlue: Cross Tag Battle launches on PS4, PC and Nintendo Switch in Japan on May 31. It will follow a few days later on June 5 in North America, with Europe to follow sometime this Summer.